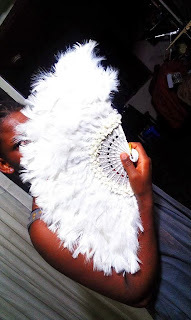 I'm doing so many things at the same time these days it's crazy! 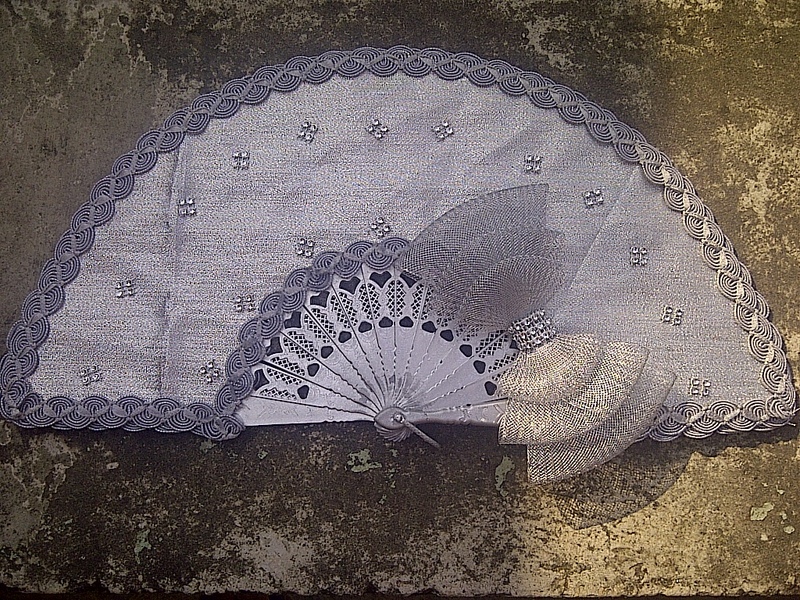 Off White Wedding Fan, with each feather individually laid. 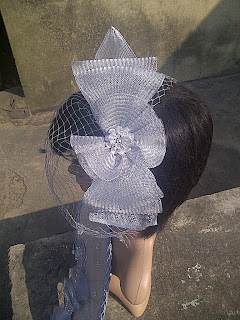 If you live anywhere near Nigeria, you would know that we're getting into the busiest wedding months of the year. 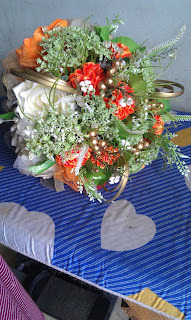 I like this time of the year of course. #Money. 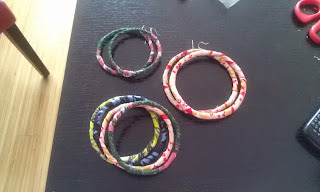 Anyway, I have a few new (and not-so-new) pieces to show. 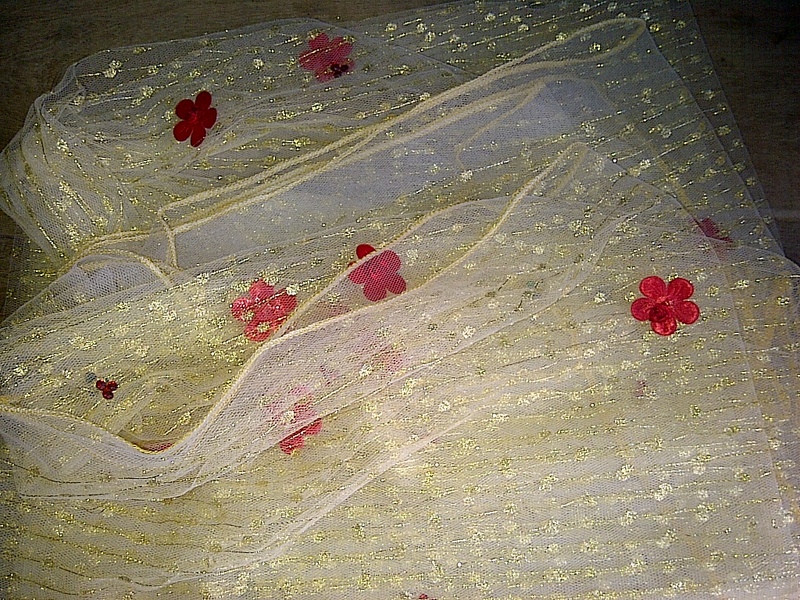 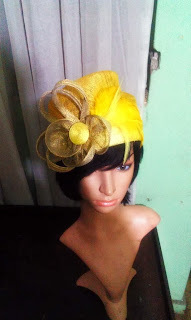 Also, my next post will be a tutorial, watch this space #Gele. 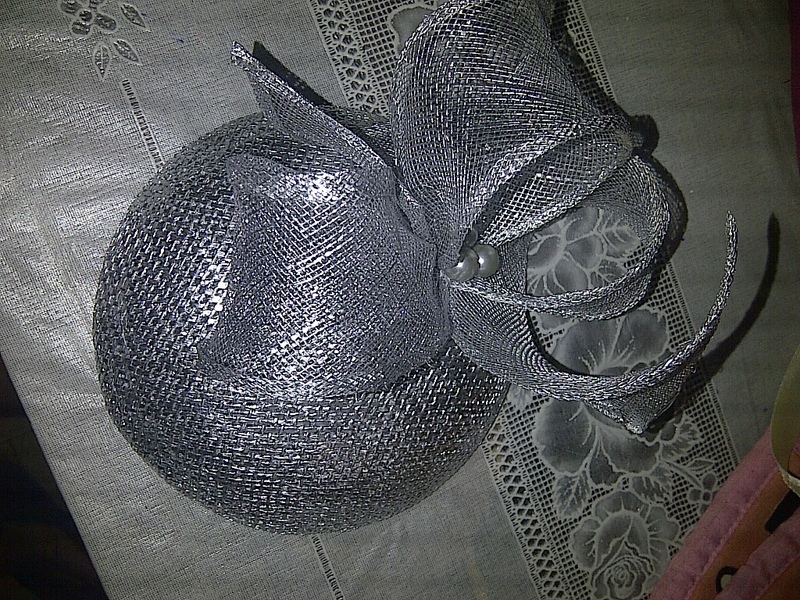 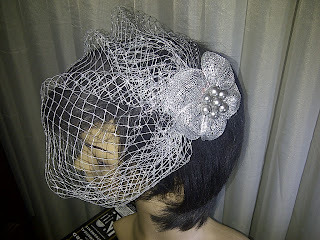 Silver crinoline fascinator for a 'modern bride'. 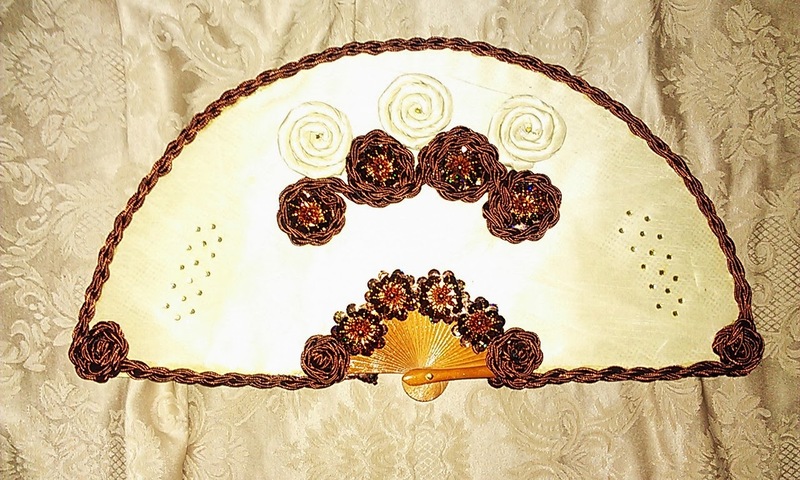 Modern bride got herself a matching hand fan too. 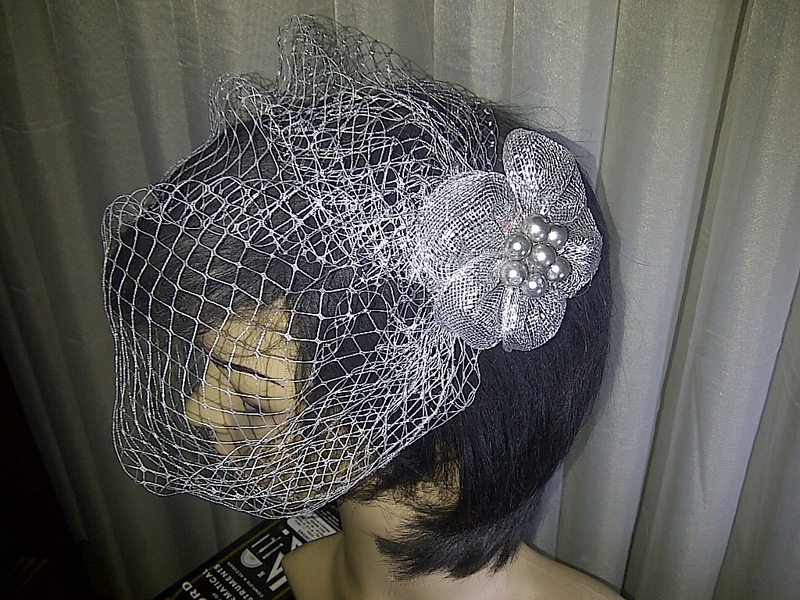 What happens when you only want the tulle veil on your fascinator for church? Simple! 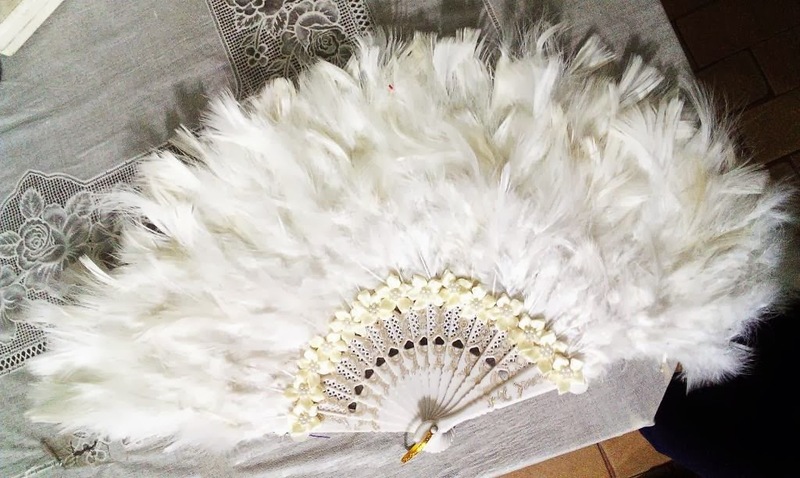 Take it off for the reception. 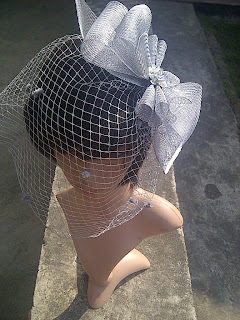 Detachable veils, by Mide. Also, fascinators come in different colors, of course. 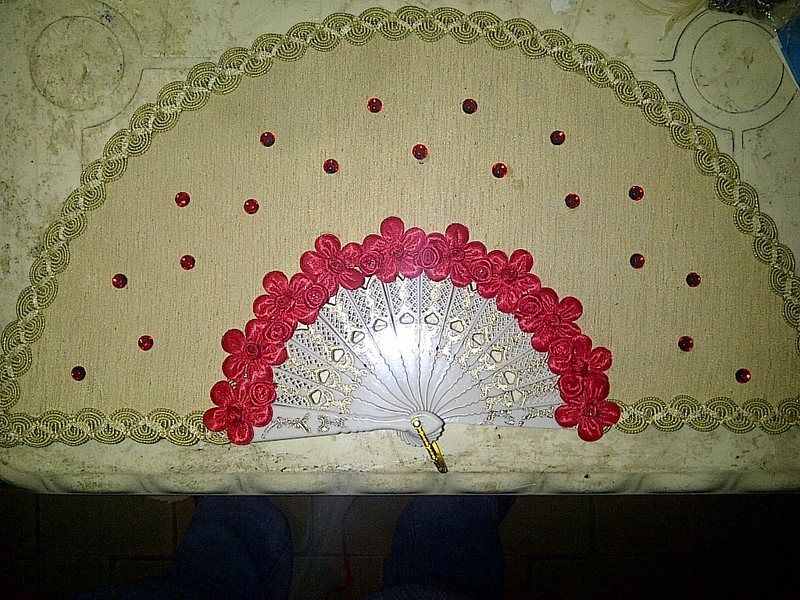 Simple, classy Champagne and Red hand fan. 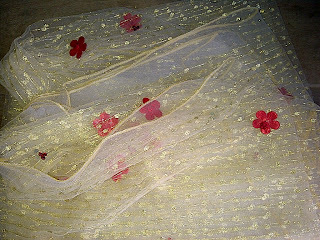 And a matchi. 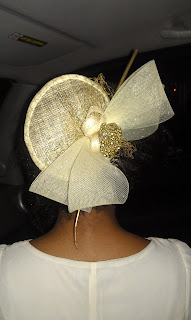 I make this sweet little piece for my cousin's daughter, to wear as a little bride. 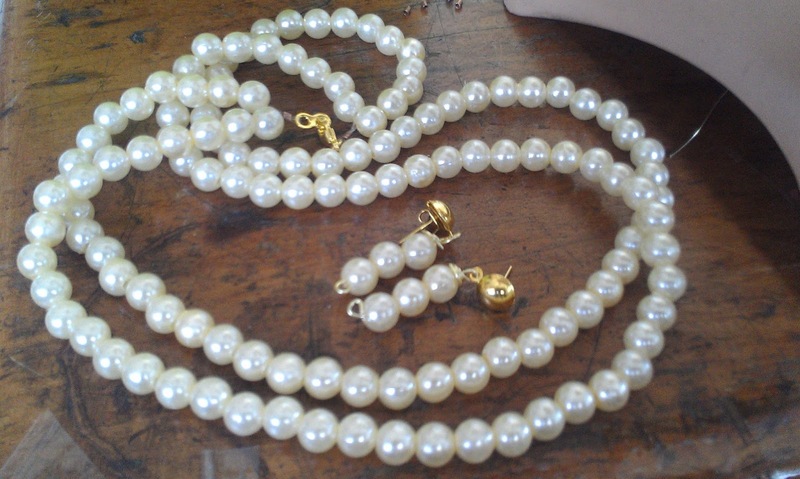 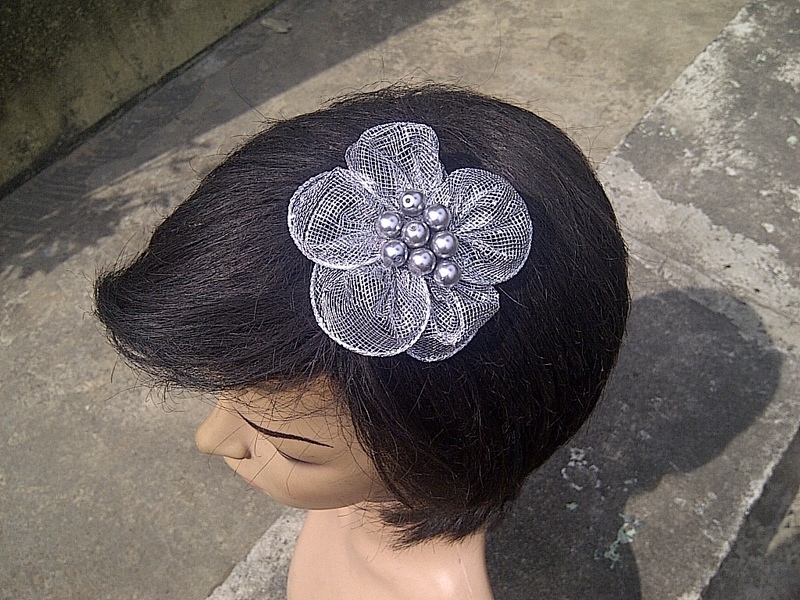 Omosede, in ivory, for a bride. 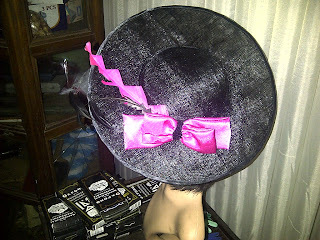 Odera, in black and fuchsia. 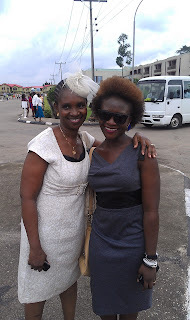 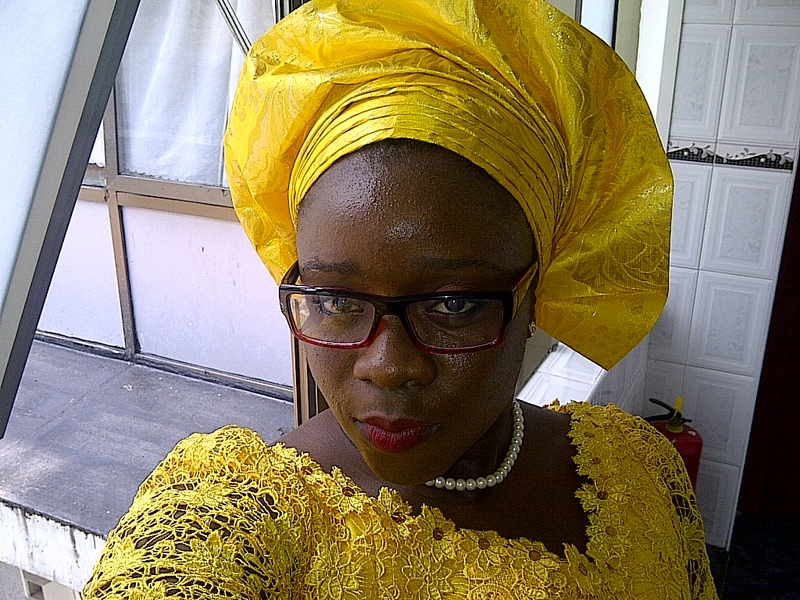 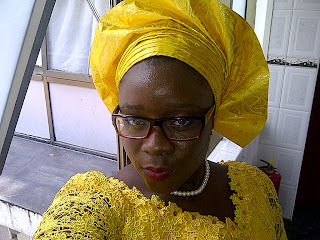 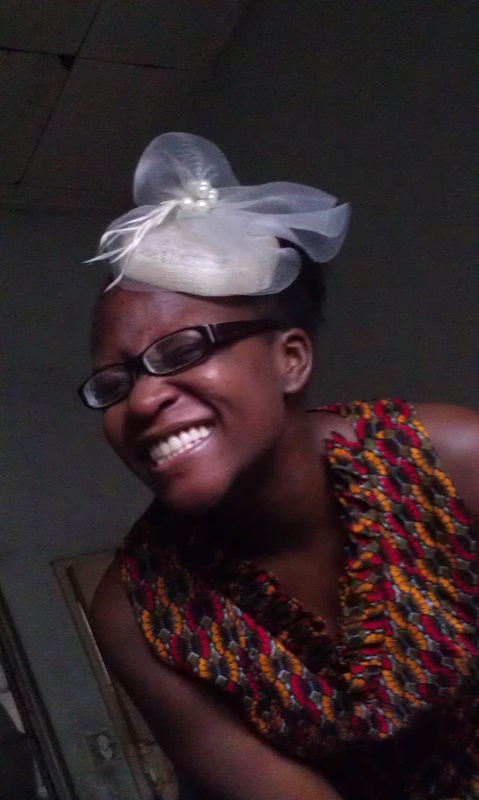 Last Thursday, I attended en engagement and tied my gele in a hurry. 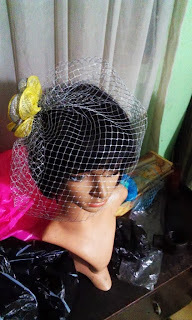 I was in room where a make up artist was working. 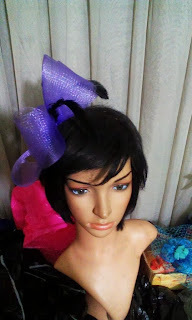 So, I 'foolishly' asked her opinion, just to make sure I was presentable. 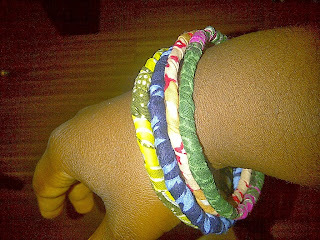 I mean, I've been tying my geles since I was in high school. Yeye girl said to me, "It's OK. 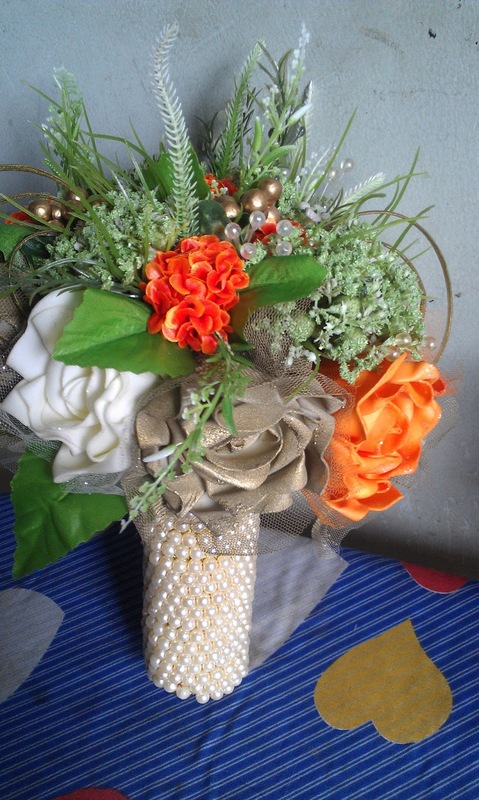 I mean, at our training school that would be an F9". Imagine that?! 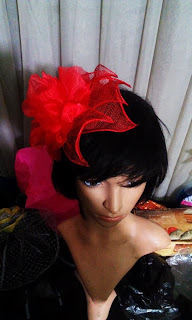 Don't think that we haven't been busy because there haven't been any updates in a while. 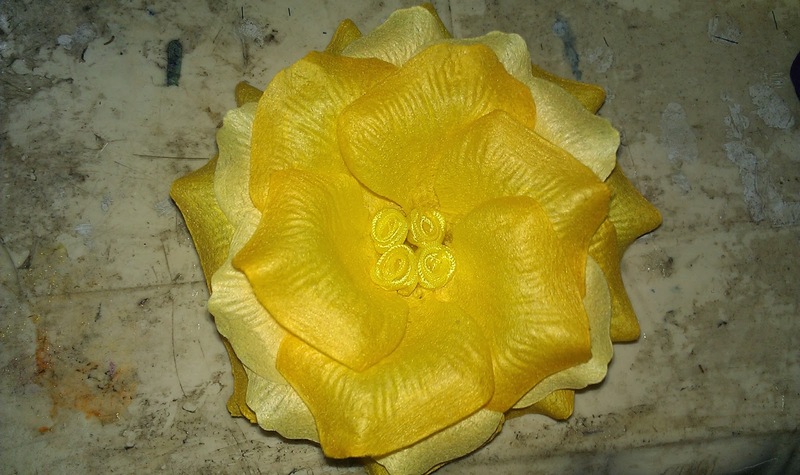 It's been a whirlwind of activity in the workshop. 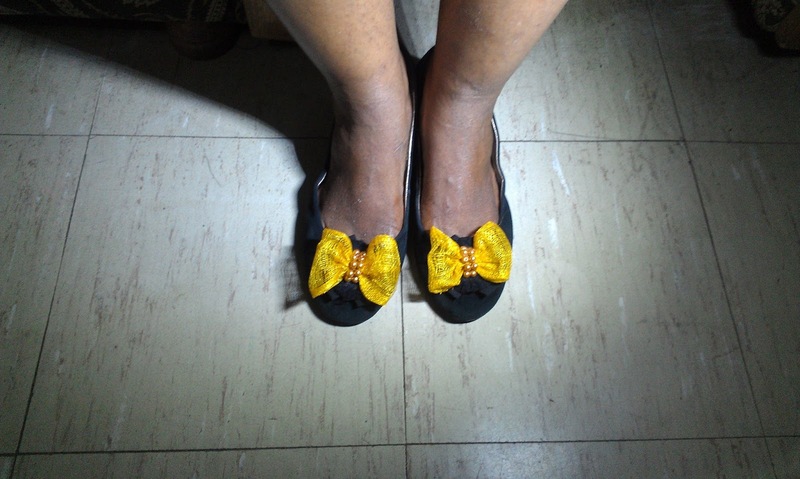 Here are photos of some of our work in the last few months. 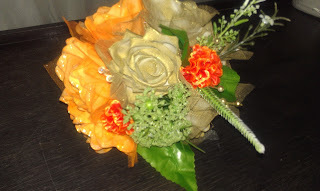 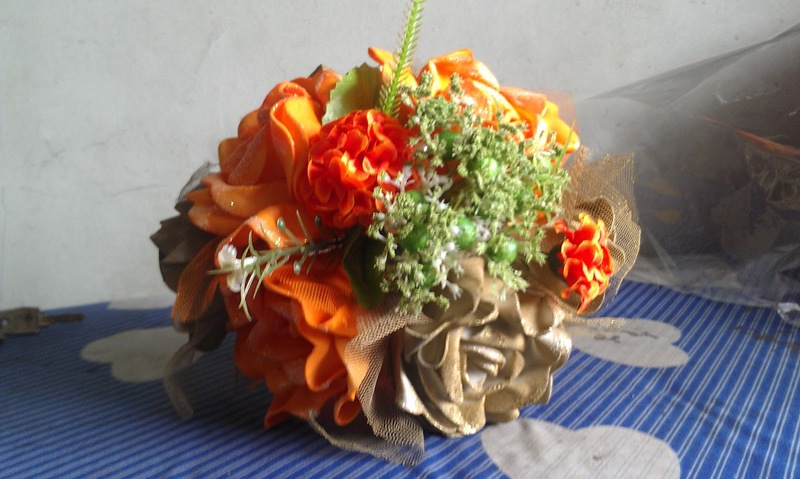 Some faux flower bouquets for a very happy customer. 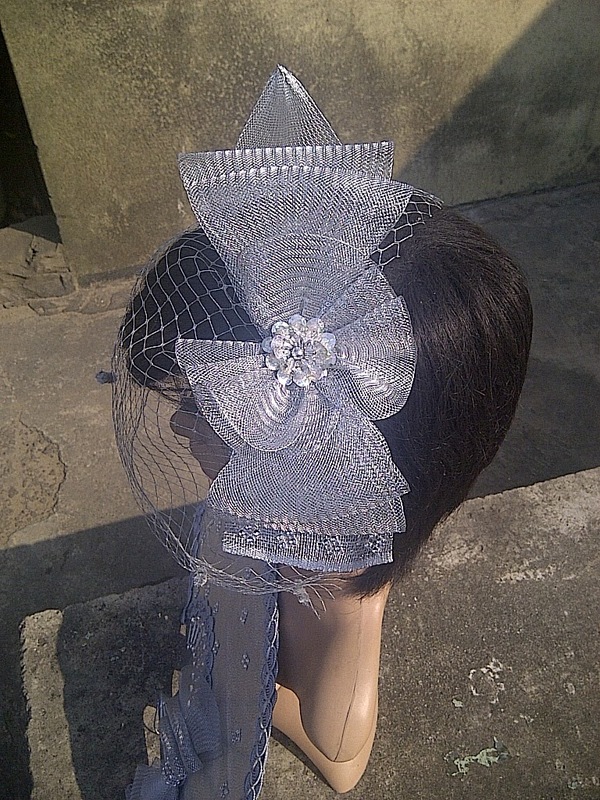 Fascinator Mims. 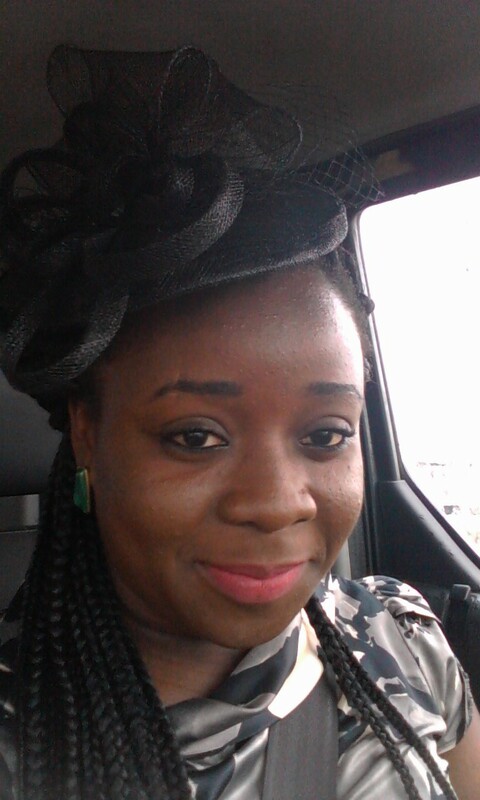 Fascinators go very well with braids too. 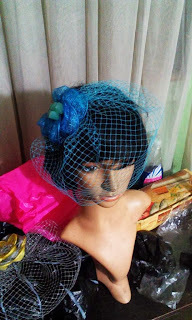 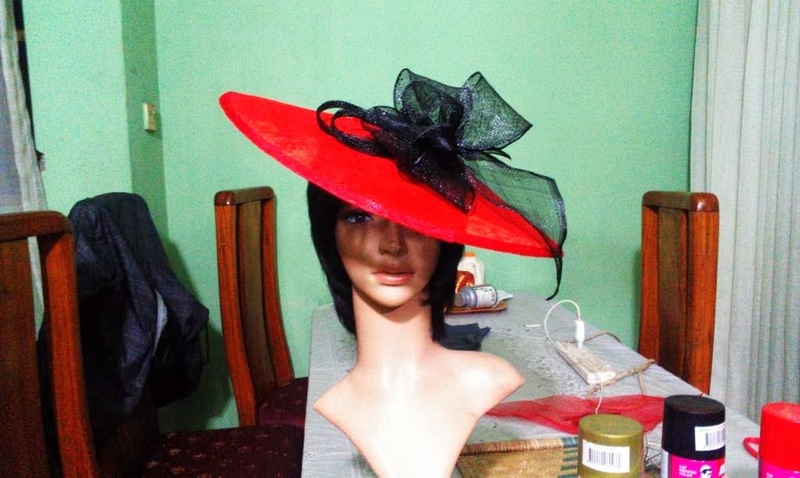 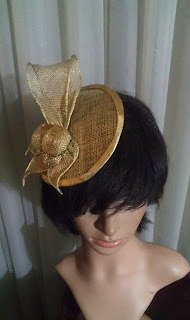 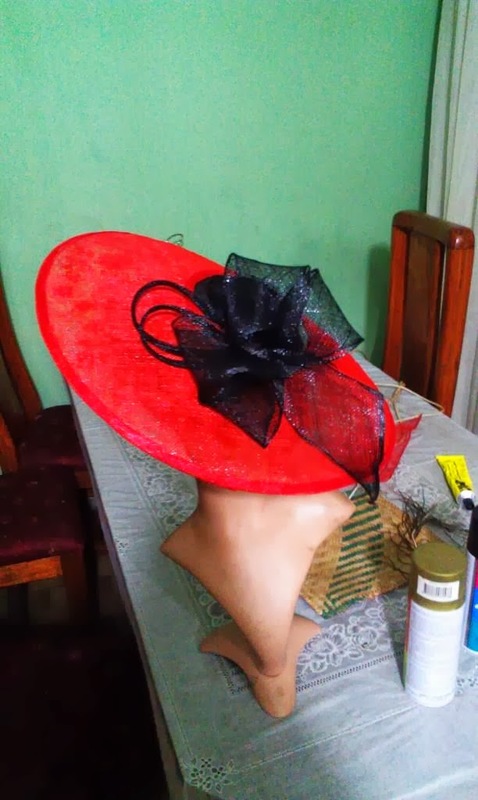 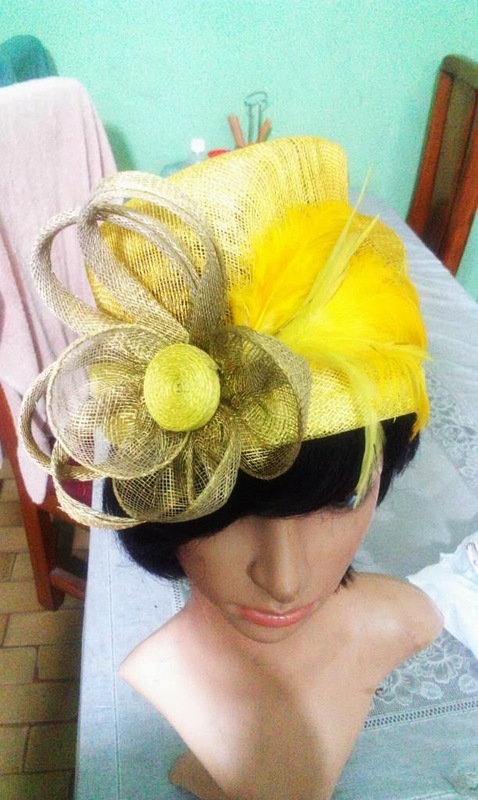 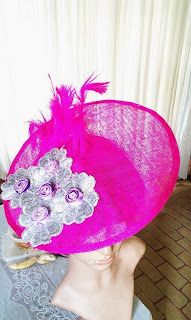 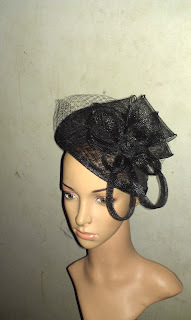 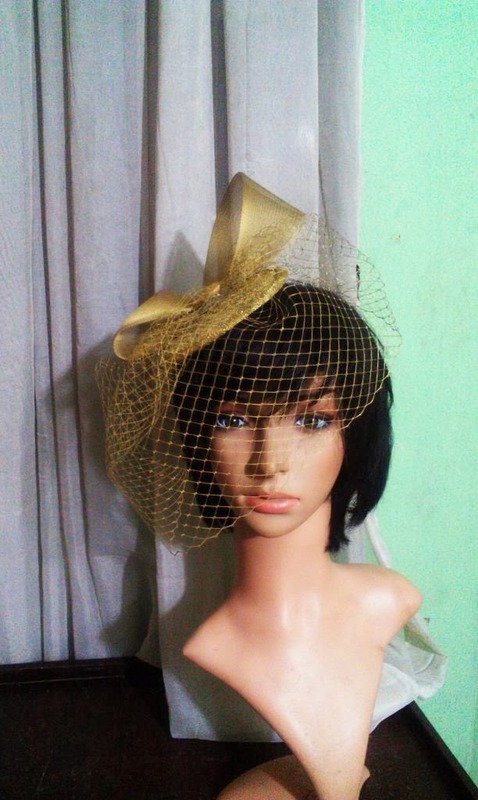 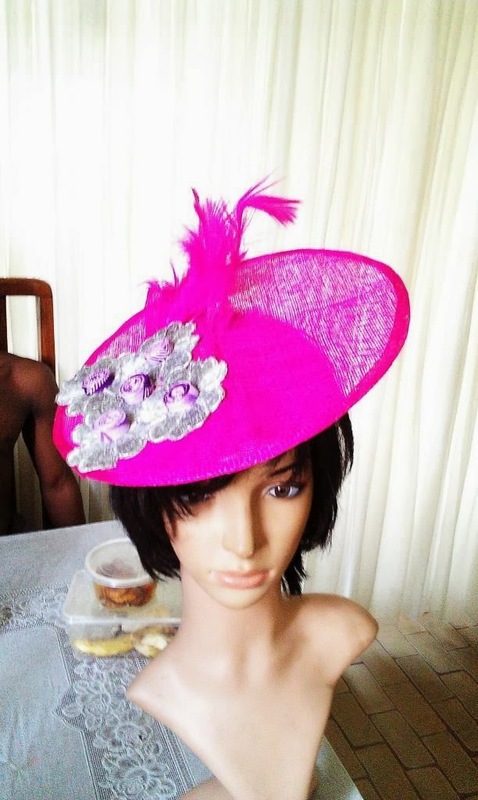 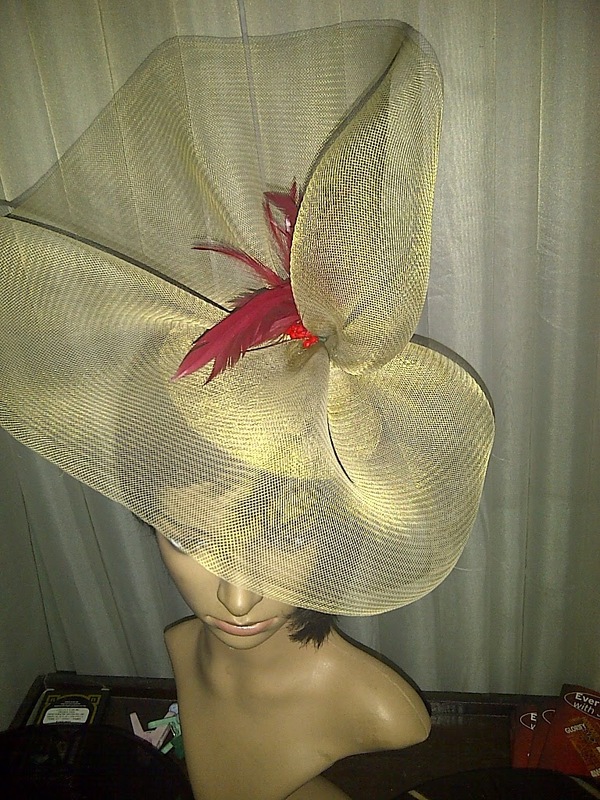 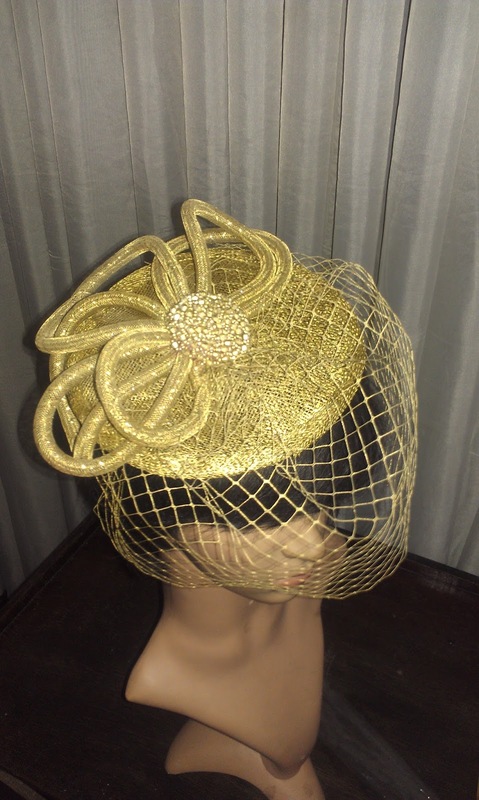 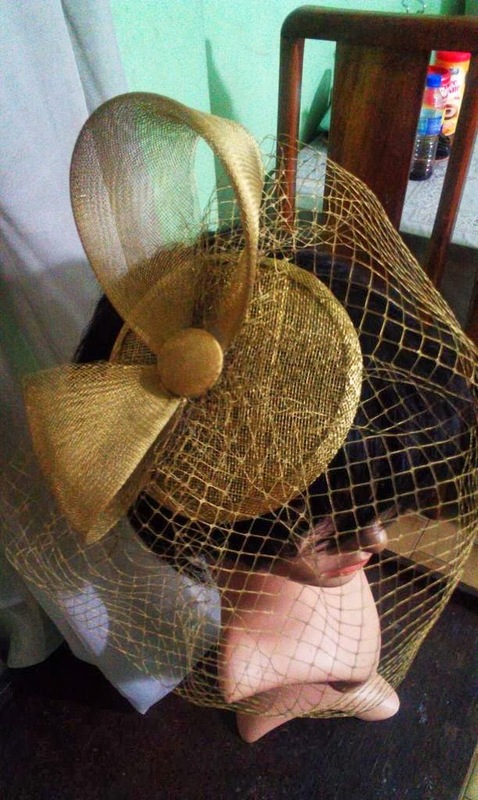 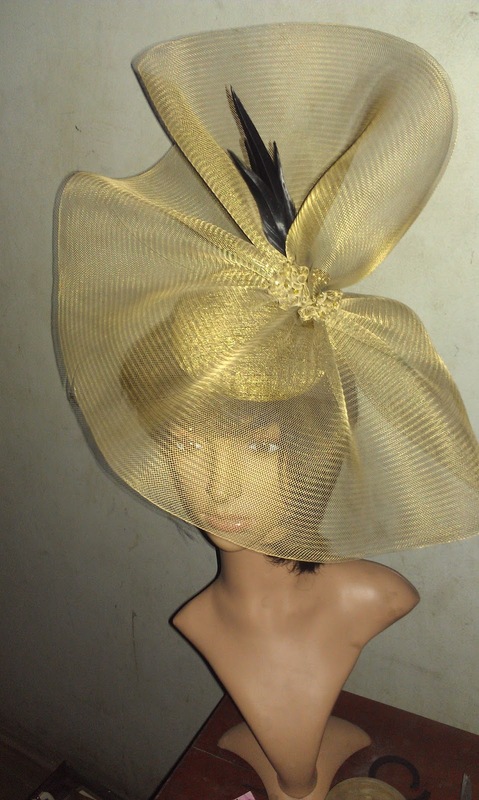 Wide brimmed fascinator. 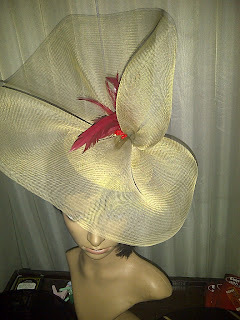 This was featured at the Royal Ascot this year. 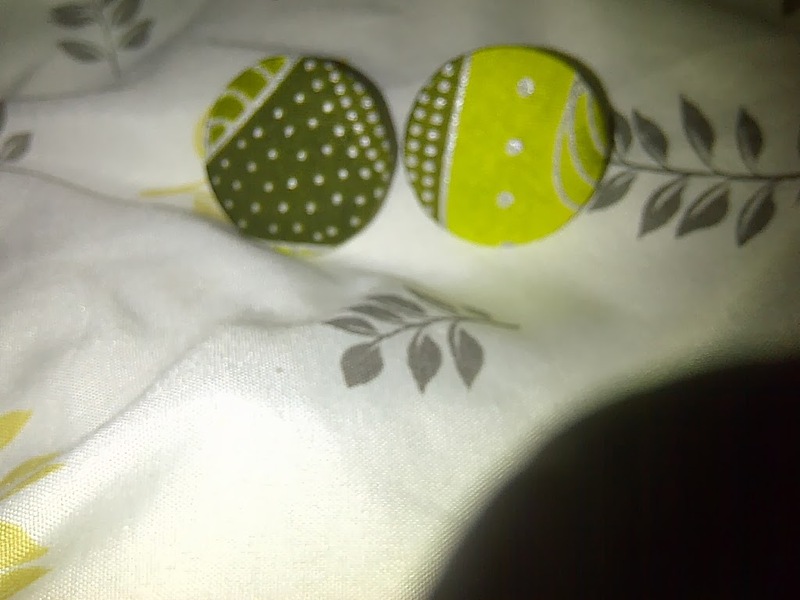 We're famous! I love happy models. 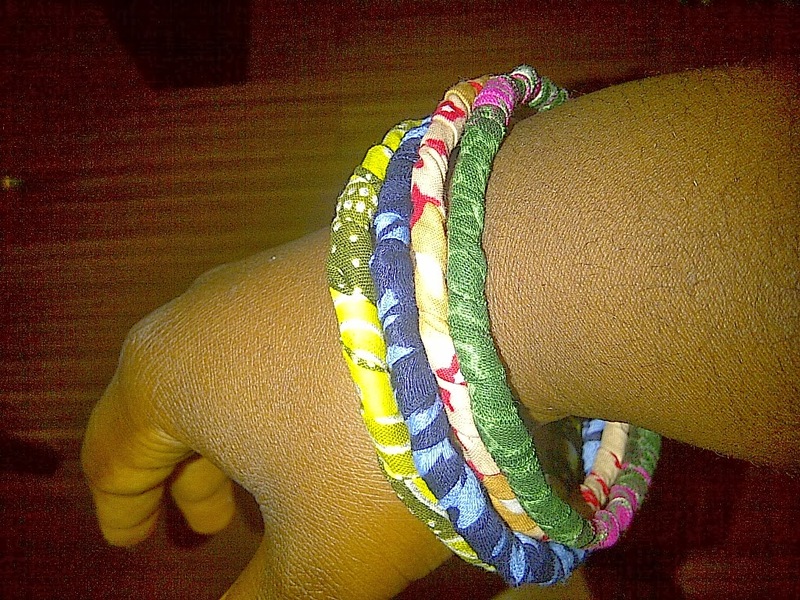 Who wore it best? Wear your fascinator as a hair clip for a different look, and a definite WOW effect. In our spare time, we like to 'rechauffe' our scrap materials. 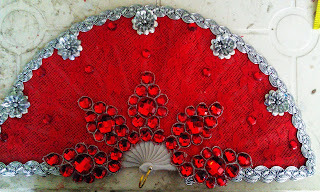 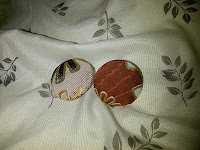 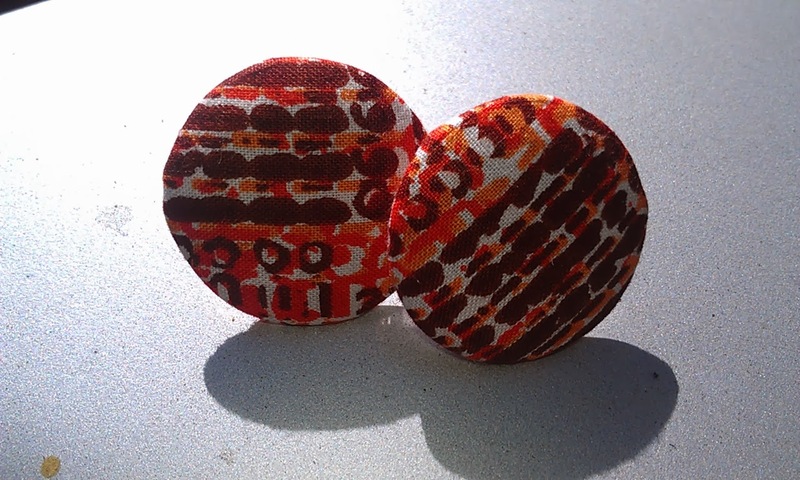 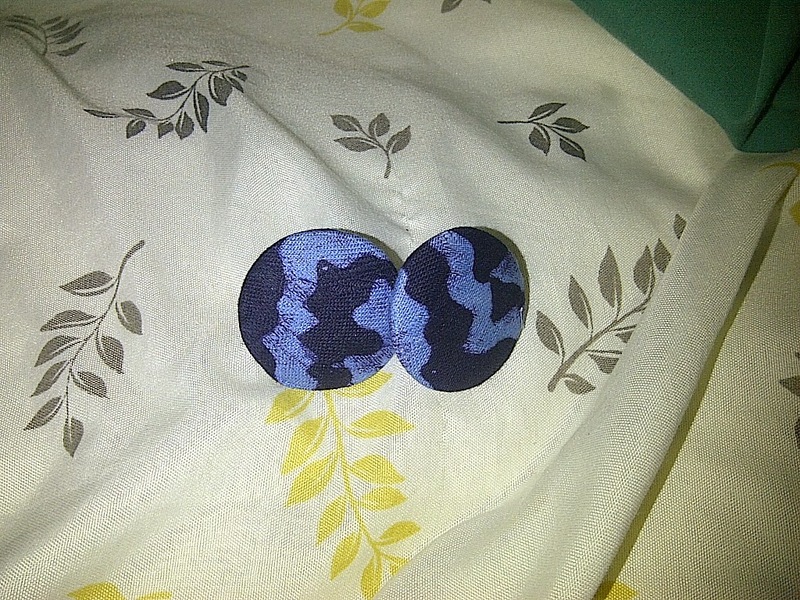 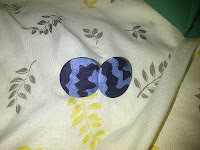 Ballet flat brooches made from sinamay and beads. 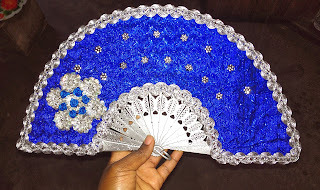 And we try our hands on other crafts, like bead work. 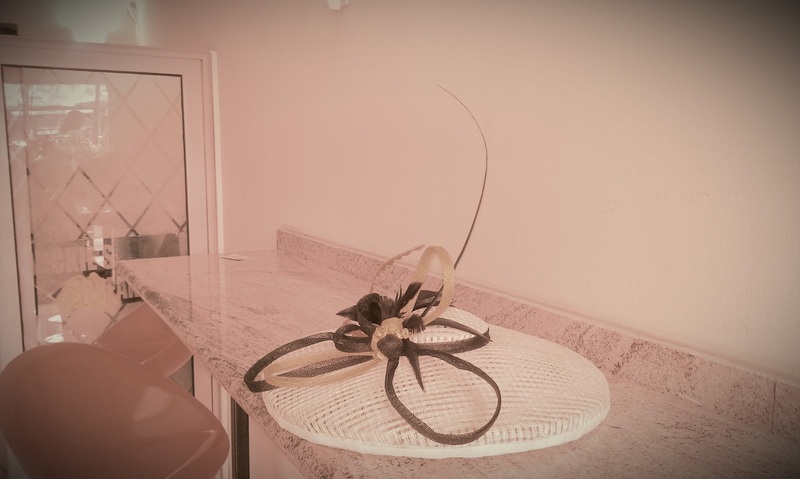 Mainly, the simple stuff. 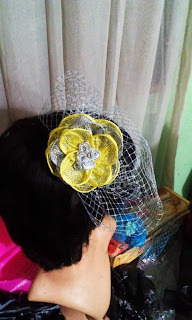 New design, no name yet. Email 'ayomide@bymide.com' for more information. 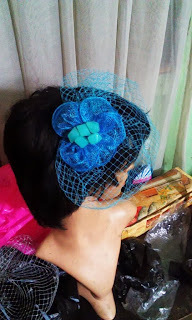 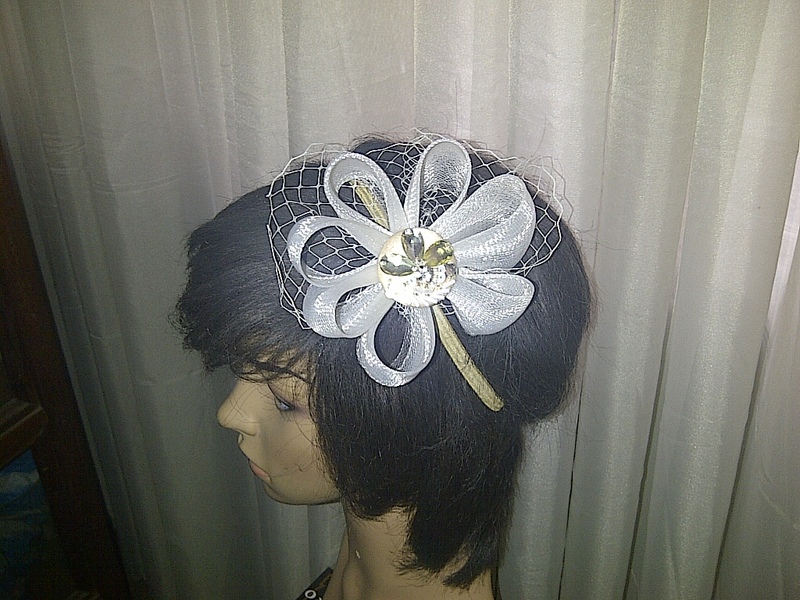 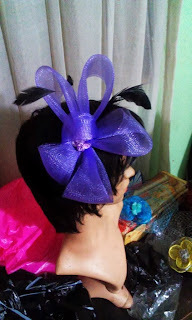 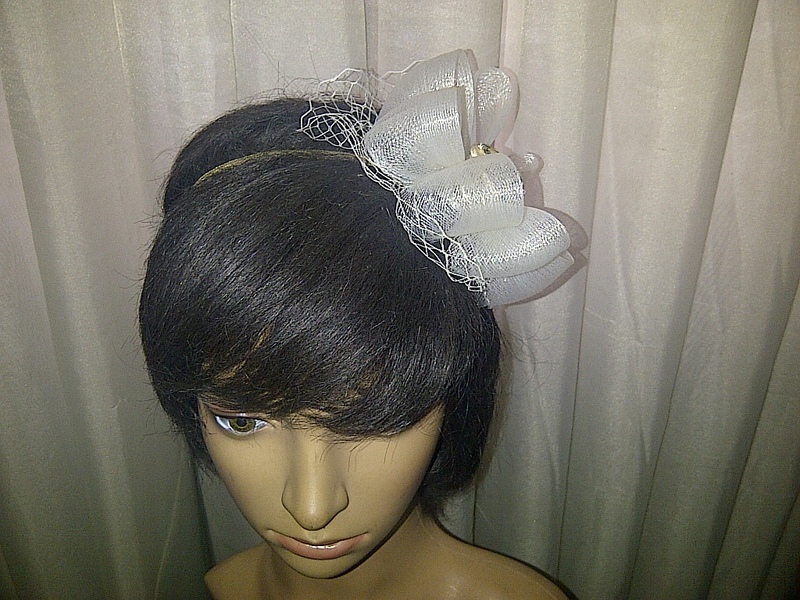 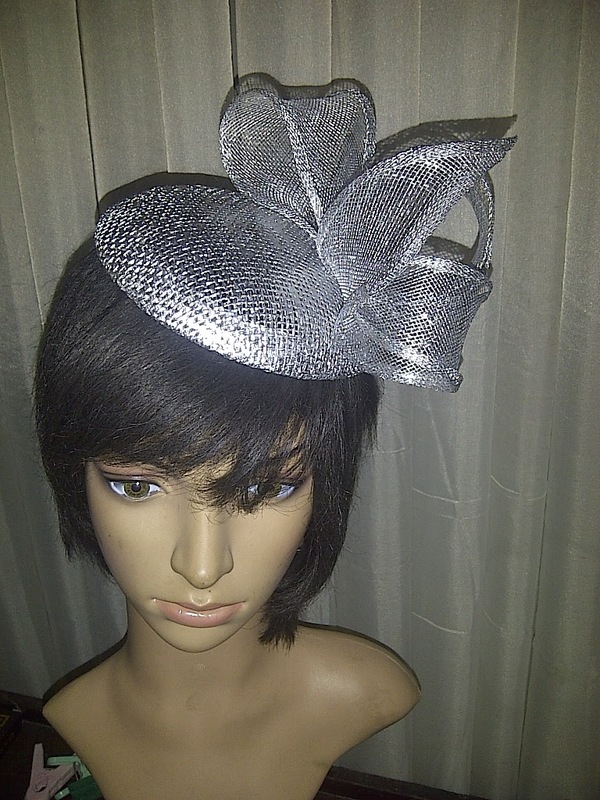 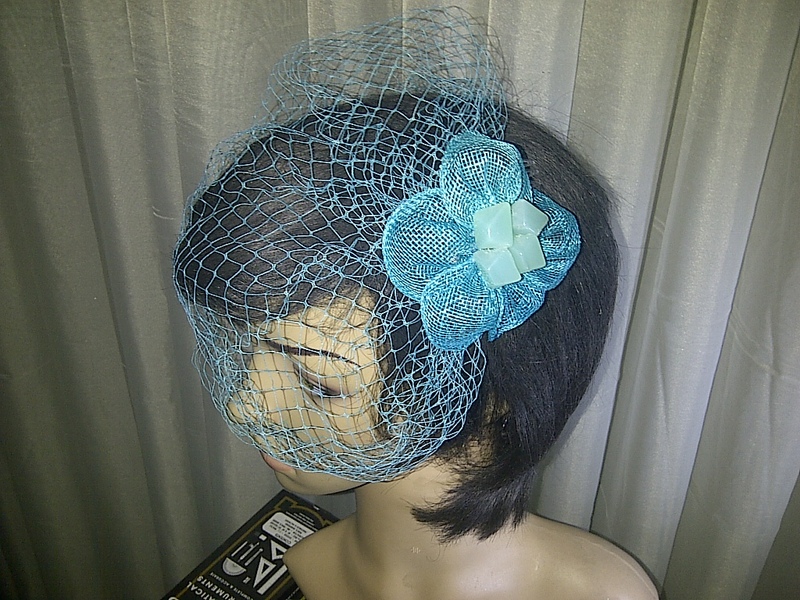 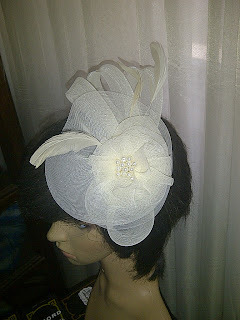 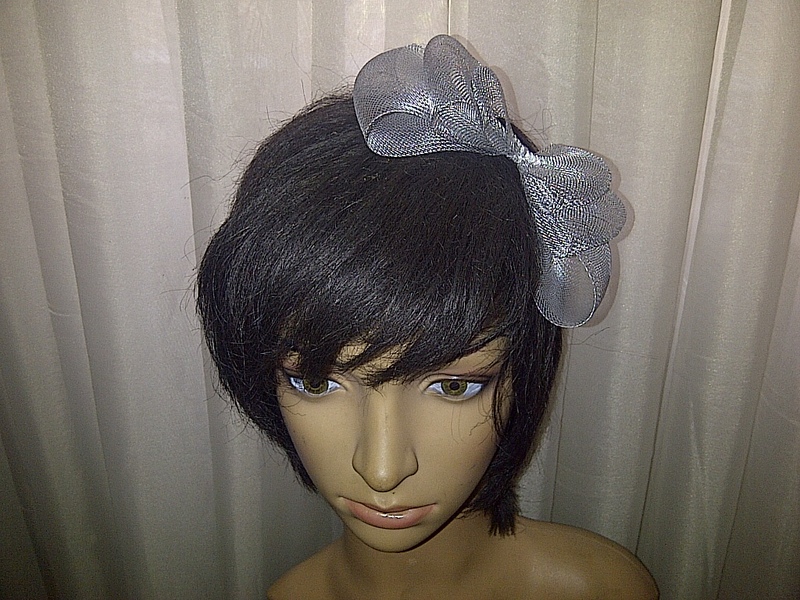 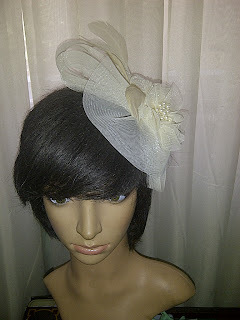 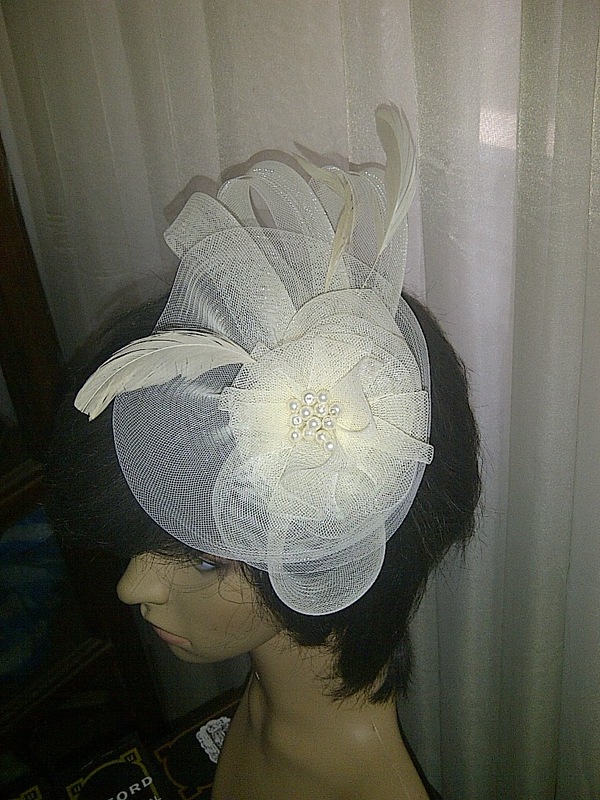 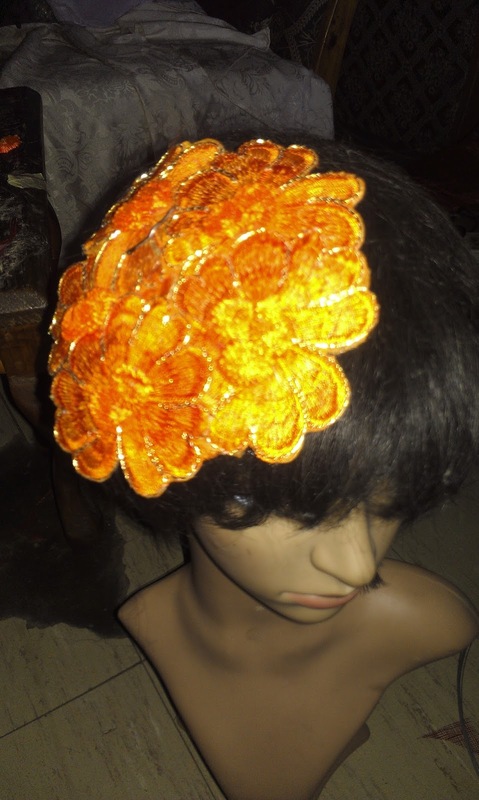 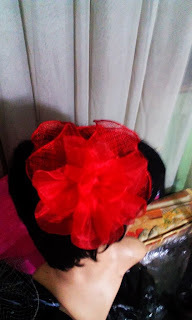 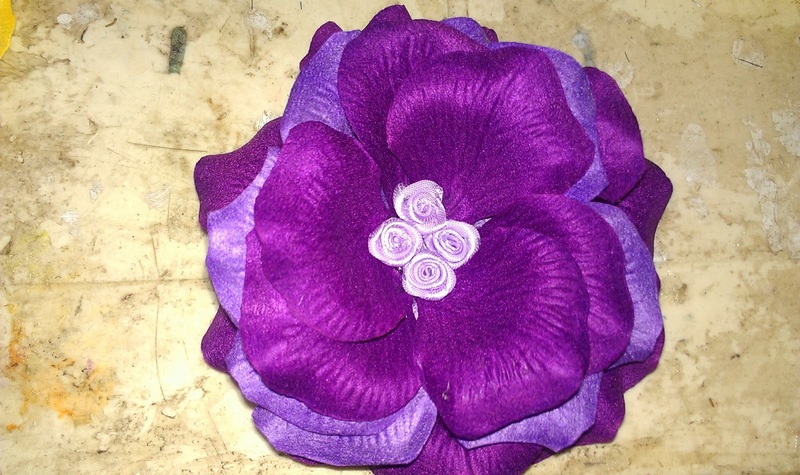 Wedding Season promo: All orders of 6 or more regular-price fascinators come with a free piece for the little bride. Keep it locked here for Promotional Events/Sales!